We are into the final week before the wedding event of the year but we are trying to fit in a couple more amazing exhibitor profiles. Today we have a real delight to share with you; Eliza Vale is a Dublin based jewellery brand run by talented designer Katie Townsend. Originally from Manchester, Katie graduated from Brighton University with a degree in Fashion Textiles Design. Katie’s creativity and style has benefited from a very diverse experience, from designing prints and embroideries in New York for both international high street brands and high-end designers to soft furnishings, apparel and accessories design in Dublin. 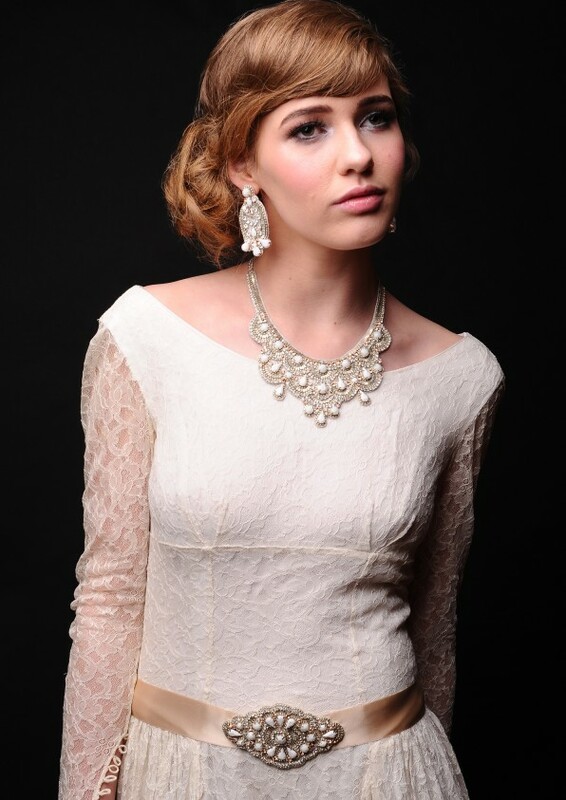 Nothing gives life to an outfit better than a bejewelled neckpiece or embellished headpiece. Named after her great-grandmother, Eliza Vale is a collection of handcrafted jewellery pieces, launched in Autumn/Winter 2011/12. The collections give full expression to the concept statement accessories, creating an eclectic and unexpected aesthetic, lending the wearer a highly individual look. Eliza Vale’s enviable bridal accessory range named ‘The Constellation collection’ was created for the discerning bride passionate about quality, design and accessories that are eye-catching and unique. Katie understands that the modern woman’s sense of individuality is just as important, if not more so, on her special day and has created an exciting range of headpieces, necklaces, bracelets and sash belts with this in mind. Each piece from Eliza Vale is meticulously handmade using the highest quality components and silver-plated fastenings ensuring that the piece will be worn long after the big day. 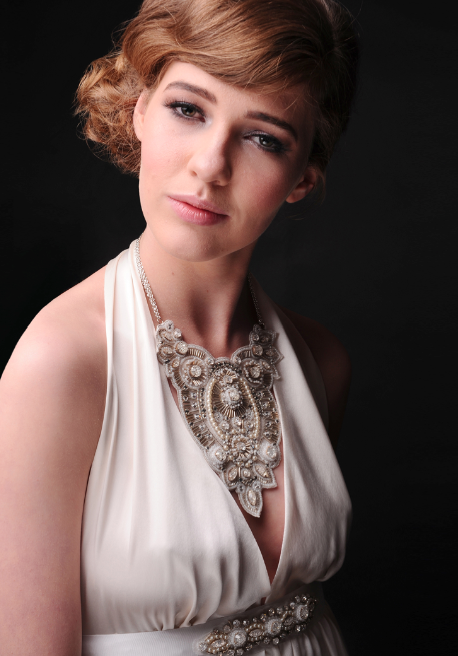 Whether to dress the bride, maids, matron of honour or mother of the bride many of the pieces are elegantly designed in such a way that they can be worn in number of different ways. Making the transformation from a belt to hairpiece, wrist cuff to shoulder strap or by simply adding a birdcage veil, the design can be worked to meet the preference of each individual. Eliza Vale will be delighted to talk you through their amazing pieces at the show, giving a real insight into these unique and special designs. Posted on October 22, 2012 | Categories: Exhibitors, News.